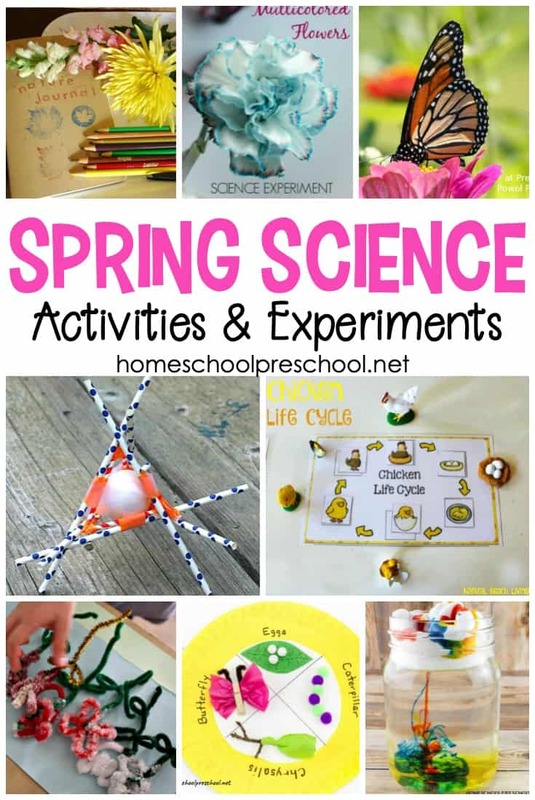 Introduce springtime STEM into your homeschool preschool lessons with this amazing collection of 20 spring STEM activities for kids. 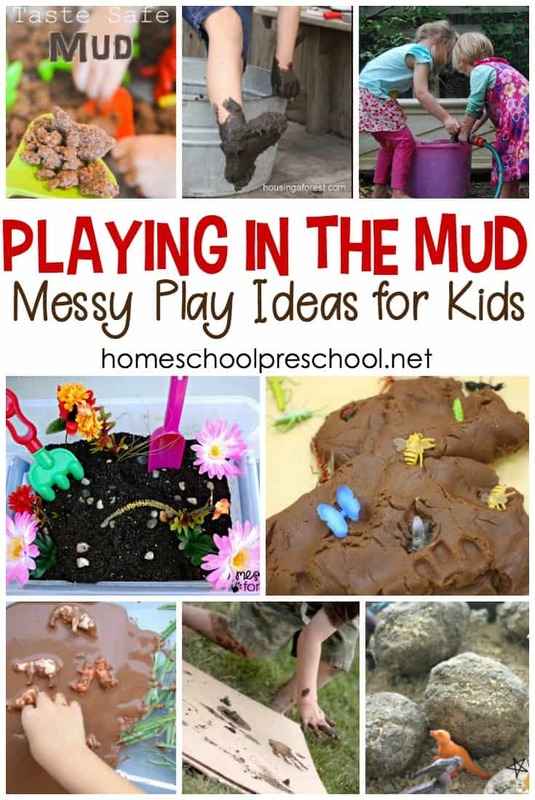 These spring STEM activities for kindergarten and preschool are perfect spring activities to engage your little engineers. From snails and butterflies to flowers and rainbows, your students will beg to do just one more STEM activity! 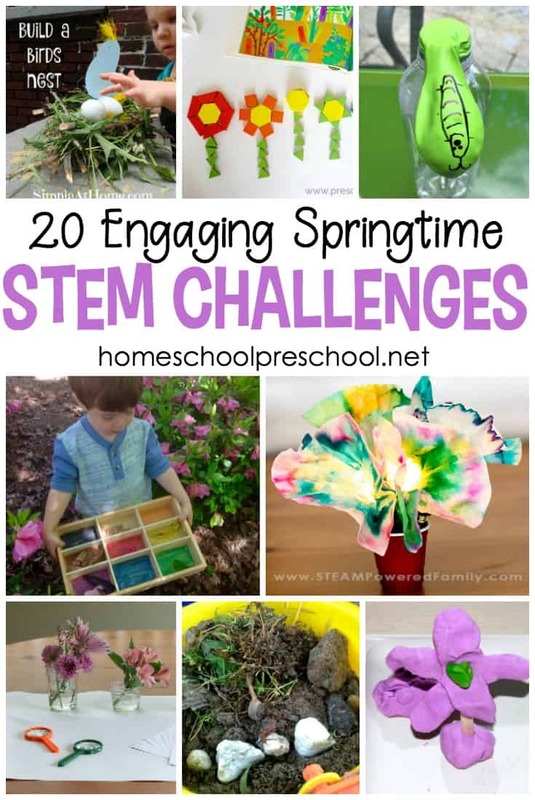 Whether you focus on the science, technology, engineering, or math part of STEM, these spring challenges will certainly entertain your preschoolers while teaching them at the same time. Challenge your little learners to build a Free-Standing Flower with this STEM challenge. Planting a Rainbow is a great book to read in the spring and summer. Challenge kids to build their own rainbow of flowers from brightly colored pattern blocks. There are many different ways your preschoolers can use these Spring Flower Roll and Color printable activity pages. Kids can experience sensory fun, science, and art when you set up a Flower Exploration Center. I can’t wait to explore how to plant sunflowers with kids next spring when my grandson is old enough to help me dig in the dirt. Focus on science with the planting part, and switch to math to track your sunflower’s growth. I’ve set up a Seed Jar several times when my kids were preschoolers. They loved watching the seed begin to sprout through the clear jar. It’s a great way to introduce little ones to the life cycle of a plant. I’ve never met a kid who wasn’t intrigued by the life cycle of a butterfly. The idea of a caterpillar turning into a butterfly is so exciting. 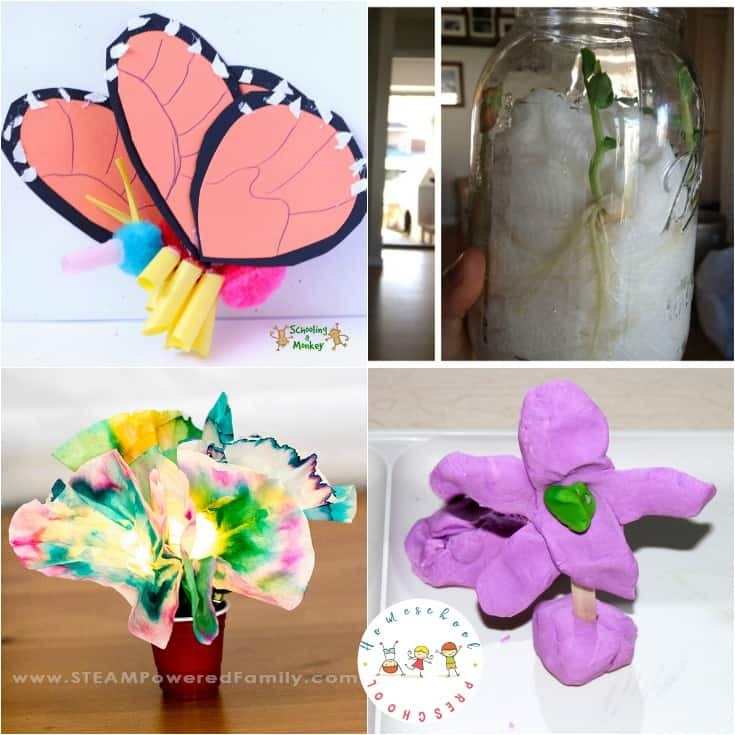 Demonstrate that transformation with this Butterfly STEM Challenge. Kids will combine art and technology as they learn how to build a circuit flower. Give this flower or butterfly sorting activity a try. Kids will get an up-close look at different types of flowers and butterflies and their characteristics. Young naturalists will enjoy working together in this bird nest science activity. They will gather supplies, and use them to build a bird’s nest. They’ll soon understand it’s harder than it looks. Now that the weather’s beginning to warm up and the sun is shining more, it’s a great time to head outside for a spring flower nature scavenger hunt. Spring is a great time to make a snail habitat and learn about snail anatomy. Print out this free early spring scavenger hunt, and start exploring with your preschoolers. They’ll look for buds on trees, rabbits, birds, flowers, and more. 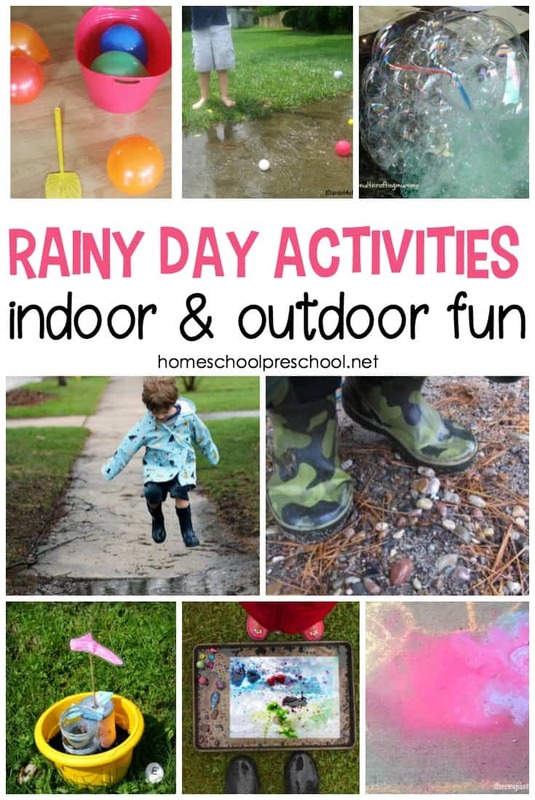 Tackle this outdoor color hunt with your little ones, and they’ll work on sorting, counting, and classifying things they find outside. You can make this flower number line game in no time, and your young learners can practice counting, number order, addition, and subtraction. Your kids will be to use these Spring Guess Bags over and over. What’s more fun than blindly reaching into a bag of spring nature and trying to guess what’s inside? Counting & Number Recognition with Spring Flowers is a great way to liven up your math centers this spring! Setting up a Reggio-Inspired Spring Nature Table will inspire children to explore beautiful natural materials for open-ended play. 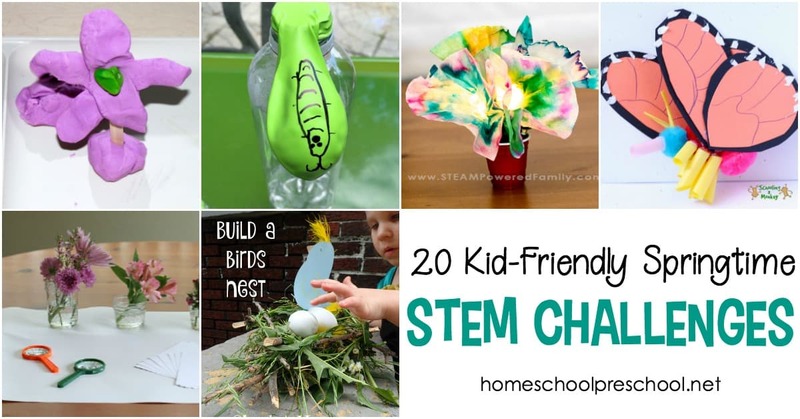 Which spring STEM challenge will you and your kids try first?